After the Arab Spring, the region underwent very rapid changes and, since then, it has experienced unstable and fragile circumstances. Unfortunately, it does not seem that conditions will improve in the immediate future. Due to the stability in Russia and Iran, people in these countries might not comprehend the depth of the problem and the reality of the exacerbating condition in the Middle Eastern region. Without any doubt, Iran and Russia are the two countries that were really against the ongoing war in Syria. This war, in all its aspects, hurts the advantages of these two countries. For the West, it was a great chance to cut off relations between Iran and Hezbollah in Lebanon and Hamas in Palestine. There are also other fruits from dividing Syria in small segments for them, just as there are other countries in the region that were interested in the war. 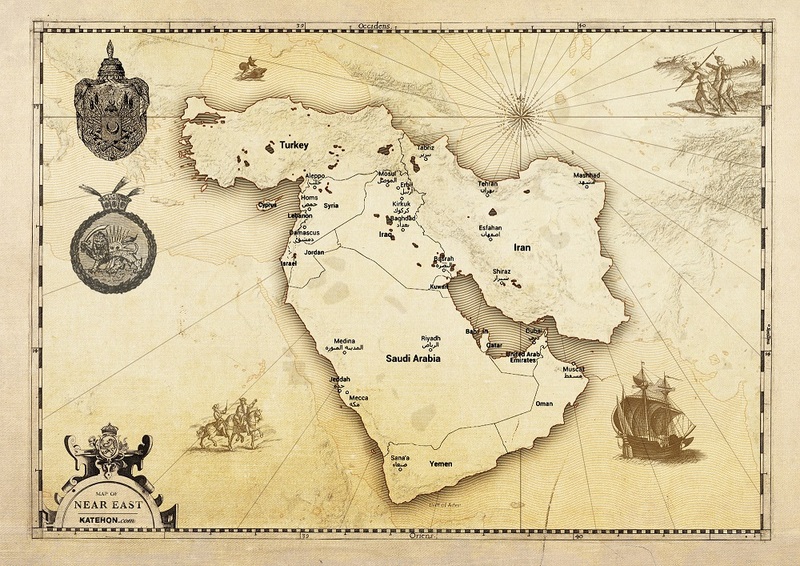 Almost all the Sheikhdoms of the Persian Gulf and some others were pleased by this war’s outbreak and the serious crisis in Syria. Such offered an opportunity for them to pound out the flames of revolution in their own lands by directing the flames towards Syria. The overthrow of Bin Ali in Tunisia and Mubarak in Egypt had a ripple effect on the other Arab countries. There were protests in some parts of Saudi Arabia to such an extent that, in order to settle them down, King Abdullah ordered some changes, including dismissing the Saudi ambassador in Egypt after he refused to help a Saudi woman who wanted to leave Egypt, an incident which caused a kind of public outrage. This was very important conduct because Saudi authorities usually do not care about such issues at all. But, due to critical conditions, they struggled not to provoke possible protests. There were also signs of protests in Qatar and neighboring countries, so they tried to please people by blackmailing them. Then there were the uprisings in Bahrain, a predominantly Shiite country. At first, the protesters were from both the Shiite majority and Sunni minority who demanded social reforms. The Arab Sheikhdoms of the Persian Gulf felt a kind of solidarity in destiny. They were all afraid of suffering the same fate as Bahrain if revolutions were to be successful. So, they had to nip such sparks in the bud by appealing to an old but effective tactic. They attributed the uprisings to Iranian intervention and changed the narrative to that of a Sunni-Shiite confrontation. Soon, the Sunni protesters retreated and left the Shiites alone on the ground. Then, putting pressure on Shiites and and shifting attention towards Syria proved effective in killing the protests in Bahrain and other Shiite places. Meanwhile the Sunni youth who were struggling for positive reforms in the Islamic world were directed to fight against the Shiite as some kind of monster introduced by the Arab media as a real threat to the world of Islam. Soon, all those socio-political demands were forgotten and the energy was concentrated in fighting against Shiites in Iraq and Syria. The subsequent course of events made put more attention on Syria. Turkey also found a dramatic chance to initiate the scenario of reviving the Ottoman Empire. They were adventurous in trying to bring Assad's regime down and join some of Syrian lands to Turkey. They received millions of dollars from disassembling Syrian factories alone. Add to this the cheap Syrian oil they bought from anti-regime militants. Recent events, however, taught Turkey just how dangerous the monster they created was. Therefore, they are not involved as much as Saudi Arabia is now. The greatest role is being played by the Saudis. As long as they are not punished, the region won't see any signs of peace. They must be defeated in this battle. This is the only way that bring them down to earth. They are out of control now and do not behave professionally. The Saudi government that we see today is quite different from the former conservative one. The new king and his young team have very strong Wahhabi tendencies. Acting ideologically, they have made wrong evaluations of their own power and position and that of others. Being provoked by a sort of religious bios and misjudging their own capabilities and that of others, they have behaved in a very irresponsible way. This does not only concern Syria. It concerns the illusion that they can reconquer lands once again as they did in the first Islamic century. They are not even conservative enough to hide this. Thus, if the Saudis win the battle in Syria, they will move on to somewhere else. The only way to resolve the crisis is to defeat Saudi Arabia and its allies on Syrian soil. This is to the advantage of all sides. As mentioned before, this war was imposed on Russia and Iran. Now, they have no other choice than to defeat Saudi Arabia in Syria.